Today NVIDIA announced new virtualization software capabilities that turn Tesla GPU-accelerated servers into powerful workstations, Quadro Virtual Data Center Workstation Software (vDWS). This new software aims to deliver organizations with the resources needed for demanding enterprise-wide virtual workspaces. NVIDIA is also announcing improvements to its NVIDIA GRID vPC for mobile workstations. Workstation Software (vDWS). This new software aims to deliver organizations with the resources needed for demanding enterprise-wide virtual workspaces. NVIDIA is also announcing improvements to its NVIDIA GRID vPC for mobile workstations. NVIDIA makes very popular GPUs for computers, workstations, and servers. It is taking its proven track record and expanding on capabilities specifically for VDI with Quadro vDWS. vDWS will is available for over 120 systems from 33 system vendors to provide high performance to several users from the same GPU for, what NVIDIA is stating, a lower cost of ownership. Ideal use cases for Quadro vDWS are 3D, photorealistic rendering, virtual reality, and deep learning and the new software will help with collaboration on these projects. The ability to create complex 3D and photoreal designs - Up to 24GB of GPU memory for working with large, immersive models. 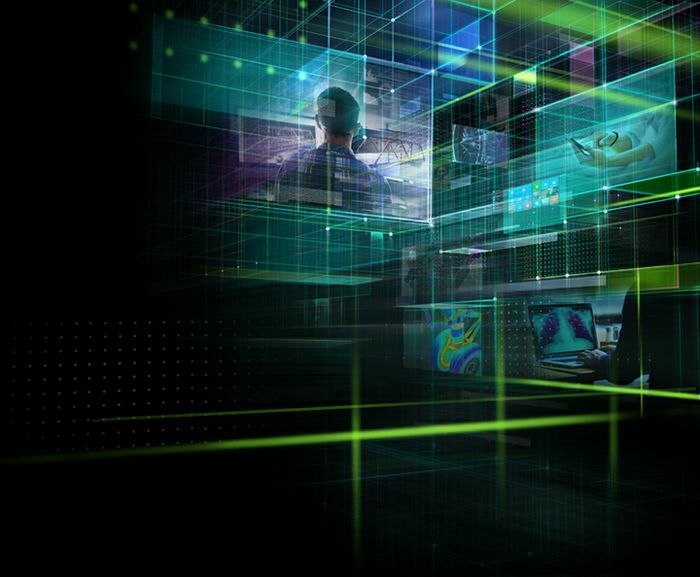 Increased productivity - Up to double the graphics performance of the previous NVIDIA GPU architecture lets users make better, faster decisions. Unified graphics and compute workloads - Supports accelerated graphics and compute (CUDA and OpenCL) workflows to streamline design and computer-aided engineering simulation. Better performance for Linux users - NVIDIA NVENC delivers better performance and user density by off-loading H.264 video encoding, a compute-intensive task, from the CPU for Linux virtual workstation users. It seems that all modern applications are in need of good graphic acceleration. In order to address these needs in VDI environments, NVIDIA has improved upon its NVIDIA GRID vPC product. The improvements leverage new enhancements in the latest version of NVIDIA GRID and Pascal-based NVIDIA Tesla GPU accelerators. Improved user density and scalability - The Tesla P40 supports up to 24 instances of 1GB virtual desktop profiles, which is a 50% increase when compared to the Tesla M60. Taking advantage of this market-leading graphics virtualization density, IT departments can optimize their infrastructure investment and deliver graphics-accelerated virtualized desktops and applications across the enterprise. Greater vGPU insight - End-to-end management and monitoring tools provide vGPU visibility at the host or guest level. Application-level monitoring capabilities allow IT to intelligently design, manage and support their end users’ experience. New integrations with VMware vRealize Operations (vROps), Citrix Director and XenCenter enable flexibility and control from a single, unified view. On top of the above announcements, NVIDIA is introducing a new Tesla GPU to its line, the P6. The Tesla P6 is designed for blade servers and has 16GB of memory, supporting up to 16 instances of 1GB virtual desktop profiles. Quadro vDWS and NVIDIA GRID vPC solutions are available today with support for new Pascal-based features and functionality starting September 1st. NVIDIA states that vPC can be as low as $6/user/month.